It is a great pleasure to debate the 2019 National Budget. This budget, Hon. Speaker Sir, could not have come at a time of great fragility and great vulnerability of our country. The economic situation is dire, difficult and is arrested by a number of multiple imbalances. These include the fact that for many years our economy has been stuck in a recession characterized by low output. Since 2012, our economy has basically been on a downward spiral recording GDP declines. Apart from the challenge of low productivity, weak GDP figures, we have the challenge of fiscal ill-discipline reflected in a gross and acerbic budget deficit. That we have a budget deficit that is in excess of 15 percent of DGP is not acceptable but that is the order of the day. We also have a challenge, until recently, of weak and none aggregate demand unlike the crisis of 2007/8 where we had a crisis of under accumulation with all of us being billionaires and trillionaires but with hardly anything available to buy in shops. The current crisis has been characterized by shops that have actually been full of goods but people and persons have not had the capacity to purchase goods and commodities. We have also had the challenge of currency and currency distortions, the shortage of cash and the challenges around the exchange rate. These are the issues that are affecting our country; these are the issues that our people are living with. Therefore, the 2019 budget was going to be a critical one. It was always going to be a critical one because to the ordinary average person in the street, he or she expected a remedy out of the ills and mischief arresting this country. The 2019 budget had to be a remedial budget, one that dealt with the challenges of currency distortions, fiscal indiscipline, crippling domestic debt, and crippling sovereign debt. The question Mr. Speaker is; did the budget, in fact, pass the test; did the budget, in fact, provide an answer, a solution to the challenges that I have identified? With great respect to the Minister, I submit that the budget did not provide a remedy, an answer and a solution to these structural challenges that are affecting our country. The first challenge in the 2019 budget, Hon. Speaker Sir, is one which a few colleagues, in particular, the Chairperson of the Finance and Budget Committee has identified. This is the challenge relating to the budget’s failure to identify the exchange rate in which it is predicated upon. This is the failure of the budget to identify the currency in which it is expressed. To maintain the fiction of a US$1:1 bond makes this budget fail even before it has started. The reality out there, Hon. Speaker Sir, is that we are existing in a period of serious structural exchange distortion. We are existing in a period of a multi-tier pricing system; there is a price in US dollars, bond notes, and RTGS. The growing exchange rate in the past two months has been a rate of 1:3.50 or 3.50. In other words, to purchase US$100 you require $350 of the local currency, whether it is bond notes or RTGS. So, we cannot run away from that reality. If we have a budget of $8 billion, surely it cannot be US$8 billion. In reality, it means that it is 8.5 divided by 3.50. It also relates to the GDP. We have got a contested terrain of the GDP. We have got the Transitional Stabilisation plan speaking to a rebased GDP of $25 billion. What is this $25 billion? Is it US dollars? Surely, we are not a US$25 billion economy. If that is the case, you then have to discount the rebased GDP of $25 billion by the going rate of 3.50 or the Old Mutual implied rate, which would mean in real terms that our GDP is around US$8 billion. Unless and until the budget and the Minister is bold enough to deal with this elephant in the living room, the issue of the current expression of the budget and the decimation of the fiction of 1:1 then the budget itself becomes farcical. It is a waste of time. I want to draw Mr. Speaker’s attention to something that happened this week. This week, two rating agencies S&P and Moody’s removed Zimbabwe from the indices of countries where data is collected and collated for the simple and good reasons that our data is unreliable because we keep on maintaining this fiction of one bond to one US dollar. Courage is required; the Minister needs to be courageous to recognize that one bond note can never be equal to one US dollar – not even the Euro is equal to the bond note. Unless this is addressed, everything we are doing is a joke. The second thing I want to deal with Hon. Speaker, the Minister must go beyond recognizing that one bond note is equal to one US dollar. He must also have the courage of doing that which he actually wanted to do initially, that of de-monetizing the bond note. The bond note Hon. Speaker Sir is terrible economics. You cannot introduce a quasi-fiscal instrument in a polarised environment. The net result is in fact what happened. Bad money always displaces good money and this is exactly what happened. So, the Minister and the government must have the courage of de-monetizing the bond note. Thirdly Hon. Speaker Sir, the Minister must have the courage of liberalizing the exchange rate and I would like to submit that if the Zimbabwean currency, whether the RTGs is allowed to settle and if the exchange rate is allowed to be liberal, it will settle at a rate that is much lower than the going rate of the 3.50 bond notes and in my opinion it will be around 0.90 because we do have some exports. We do have an economy to sustain a rate of around 0.90 to 1.00. So, I would submit to the Minister that you need to liberalize the exchange rate. The other issue I want to deal with Hon. Speaker is the macroeconomic framework which is found on pages 35, 36 and 38 of the Budget Statement. Firstly, the budget proposes a recurrent expenditure of around $6 billion out of $8.2 billion, a capital expenditure of $2.1 billion and a budget deficit of $1.56 billion. Given the lack of gross capital formation that our country has experienced since the 60s, I would have submitted Mr. Speaker Sir, that the budget should have had a bigger say on investment in gross capital formation and capital projects. What we have right now is largely a consumption budget in respect of which $6 billion out of $8 billion is actually going towards recurrent expenditure. We needed to put resources towards the construction of dams, bridges, railway, energy and those things that are affecting our country. To the extent that the budget focuses so much on recurrent expenditure, it becomes anti-development; it is not developmental in thrust and that is regrettable. Also, is the issue around austerity. The budget theme is that of austerity for prosperity. Austerity means fiscal retrenchment, the tightening up of the belt and retrenchment of expenditure. Regrettably Hon. Speaker, if you look at the 2018 budget and the 2019 budget, the Parliamentary Vote is the only one that did not have an increase but everything else increased. That is not austerity because at the minimum, if the Minister wanted to be loyal to austerity, at least on expenditure, the figures for 2019 should not have been more than the figures of 2018. What is unacceptable Hon. Speaker, is how the Minister proposes to fund his deficit. He proposes a deficit of $1.56 billion which on its own is strange when you are preaching austerity. If you are preaching austerity at the very minimum, you ought to be able to balance books but in this case the Minister is actually budgeting for a budget deficit. When you are running a fragile economy such as ours, deficit financing is a problem because a budget deficit produces dis-equilibriums and distortions which the Minister acknowledged himself in the Maiden Speech of October 1, 2018. I want to draw your attention Hon. Speaker, to page 38 of the budget. We have something that is actually not permitted by the Constitution of Zimbabwe. Of his expenditure and the budget deficit of $1.56 billion, he actually has a figure of $916.4 million which he describes as financing to be arranged. In other words, he has presented a budget here in respect of which $916.4 million is unfunded and he does not know how he is going to fund this. Surely, Parliament cannot pass hot air. If you look at the provisions of Sections 308 and 309 of the Constitution, it is not permissible for Parliament to make an appropriation which is not funded and where the Minister does not know he is going to get the money from. I don’t know; what was the problem of simply saying we don’t have this money, we don’t know how it’s going to be financed, therefore let’s remove it so that we simply maintain a balanced budget? So, I have a big problem of that from a constitutional point of view. That is not the only section of the budget that breaches our law. Firstly, the suggestion Hon. Speaker, that duty must be paid in US dollars for certain commodities including vehicles when Section 43 of the Reserve Bank Act recognizes the US dollar and other bundles of multiple currencies as legal tender is on its own illegal. In other words, as long as Zimbabwean law recognizes the US dollar as legal tender and the bond note as legal tender, it is unlawful for the budget to suggest that for certain commodities and for certain items, you should pay in US$ only. That is unlawful and illegal. I am just touching on illegalities and another aspect of illegality Hon. Speaker pertains to the Minister’s suggestions on by-elections. The budget suggests that by-elections should be held once every two years or once every year. That is not possible Hon. Speaker because the Electoral Act is very clear. There has to be a by-election that has to be held within 90 days of a vacancy occurring. So, the budget cannot propose to do something that breaks the Zimbabwean law. A third aspect of illegality, Hon. Speaker, pertains to the suggestion in the revenue measures by the Minister that the maximum police fines should be $700. The Minister of Finance does not interfere – we have got separation of powers and the Executive does not interfere with the function of magistrates and judges on sentencing people and determining the measures of punishment, and I hope the Minister can revisit. Another aspect of illegality is the suggestion in the budget that traffic fines must be enforced by members of the security forces, which I took to mean soldiers and non-police officers. That also is unconstitutional. The function of law and order in Zimbabwe is reserved solely for the Zimbabwe Republic Police, and left on their own without political interference, the Zimbabwe Republic Police can do their job. Another aspect of illegality is the suggestion by the Minister in the Budget Statement that many people are using houses as business premises and he, therefore, suggests that Customs people must be empowered to carry out searches on these homes. The Constitution is very clear; it protects the privacy of the home. So, neither ZIMRA nor Customs has the power Hon. Speaker with great respect of searching people’s homes. A more substantive form of illegality in the budget relates to the way we are handling foreign currency in this country. The Reserve Bank of Zimbabwe is allowed to retain foreign currency from exporters like Zimplats and other bodies. I would like to submit that this is unlawful and if you take the Minister’s budget where some fines and duties are actually going to be in foreign currency it means that the budget itself should have a section of foreign currency that is going to be received. In other words, there must be a bifurcation of the Consolidated Revenue Fund between that which is expressed in US$ and that which is expressed in local currency. I want to come to the Reserve Bank. All revenue in Zimbabwe is controlled by the Consolidated Revenue Fund, including foreign currency retentions. So, the Reserve Bank cannot take people’s money and then privately allocate the same. That money has to be allocated by Parliament through the Consolidated Revenue Fund and the Minister of Finance must have an oversight over that. So, I submit that the whole retention of foreign currency and allocation of foreign currency allowing the Reserve Bank to control and use foreign currency in Zimbabwe is illegal and unconstitutional. Hon. Speaker, I am concerned that the budget deficit of $1,56 billion that the Minister has budgeted for is grossly understated. Even before we have passed this budget, the Minister has already undertaken to increase the salaries of civil servants by 10 percent. So that means the figures that we already have are already out by 10 percent and I submit Hon. Speaker that the solution is not to give X percent of increases to civil servants. The solution is simply to pay them in US$ and to re-dollarise the economy. Secondly, and again a driver of the budget deficit, the budget Hon. Speaker, budgets around $300 million in interest payments but we know that the domestic debt is around $10 billion. Assuming that the Treasury Bill interest is 10 percent of $10 billion. That’s a billion dollars already. So, interest payments cannot be $300 million. They have to be at least $900 million to a billion dollars. So, I submit therefore that a budget deficit of $1,56 billion is not accurate and is grossly understated. On the macroeconomic framework Hon. Speaker, the figure of inflation that is used by the Hon. Minister for 2018 is 8,6 percent. The figure for inflation that is used for 2019 is 22 percent. Just today the official inflation figure announced by ZIMSTAT is 31 percent but you know Hon. Speaker that inflation is already over 200 percent. A bag of cement used to cost $10 in August of 2018 but is now costing $34, an increase of 240 percent and that is non-food inflation. So, the figure of inflation used in the macroeconomic framework is farcical and a fiction because our inflation is already hovering on hyper-inflation where month on month inflation is over 80 percent. The growth rate of 3,1 percent is over-ambitious given the fact that we are likely to be in an El Nino season and the budget expects growth from agriculture to be over 10.5 percent. Mining, we have been over-reliant on gold but the figures are now becoming clearer that we are not going to meet the 30 tonnes target. I want to move to another area which concerns me, which is the issue of domestic debt. There is no plan in the budget of how the government is going to deal with the crippling domestic debt of $10 billion. Whilst I am on domestic debt Hon. Speaker, the government has produced two Blue Books which are all wrong. Hon. Speaker, if you go to paragraph 66 of the Budget, the figure of public debt is put at $17,69 billion and of that, $10 billion is domestic debt. If you go to the Blue Book, page 393, the figure for the domestic debt Hon. Speaker is put at $4,872,871 billion, that is the Blue Book. So, you have got the Blue Book saying domestic debt is $4 billion but the Budget Statement is saying $10 billion. So, we need these documents to be accurate but a more fundamental point is that there must be a plan on how the $10 billion domestic debt is going to be dealt with. The suggestion by the Hon. Speaker – I heard him speak in other circles that we are simply going to roll over those debts and TBs, is not good enough. There must be a plan on how you deal with and retire the $10 billion domestic debt. Equally, there must be a concrete plan on how you deal with the external sovereign debt. The budget is weak on a formula on how you propose to deal with debt. He must either say I am going HIPC or HIPC light or another model of resolving the sovereign debt crisis. To simply plunder in the dark like a crocodile is simply not good enough. The fourth aspect I want to speak about Hon. Speaker is the budget tax regime. It is wrong Hon. Speaker to raise taxes when a country is in a recession and when people do not have disposable income. The 2 percent transaction tax is wrong and must be scrapped. Asking members of the public to pay duty in US$ when we are all earning local currency in the form of bonds and RTGs is wrong. I don’t know whether you are aware Hon. Minister that they are now calling you Walker Texas Ranger – because people do not appreciate and understand your tax regime. Mr. Speaker, we have lived through a crisis of hyperinflation in 2007/2008. Therefore, the proposed duty which is being implemented already, excise duty on fuel, is wrong because it is inflationary. I urge the Hon. Minister to reverse that decision; you do not tax a commodity like fuel. This guy must be our finance minister, not this Walker taxes ranger! nxaa!, how he say we embraced 2% nxaa. paying 2% tax for paying my child’s school fees!, its so painful. I am a habitual critic of Tendai Biti’s politics because I believe after an election, winners and losers come together to give voice to the wishes of the majority. Tendai has done the opposite, and for that he deserves our collective rebuke. That said, his response to the 2019 budget is brilliant and on point. The govt can only ignore the analysis at its own peril. The fiction of the 1:1 parity between the US$ and the bond note is dangerous. It’s consequences contradict the basic thrust of ED’s Zimbabwe is open for business” mantra. The whole approach is self defeating. I am sure the Minister had particular goals in mind when he minted his budget, but he failed to factor in the potential negative impact/consequences on the overall goals of the President. 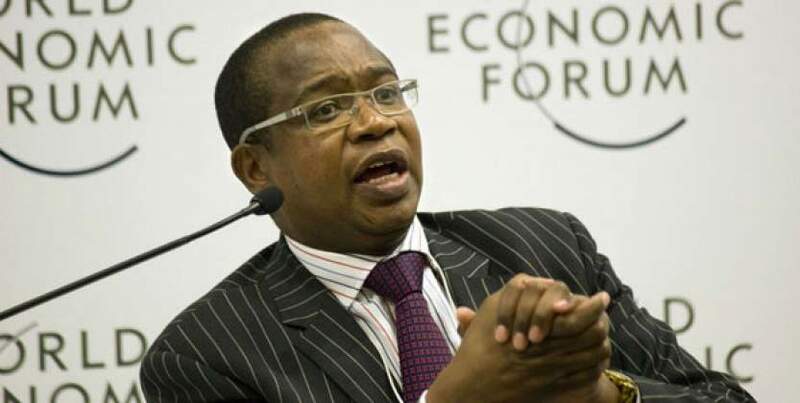 Nthuli, through ignorance mixed with various levels of incompetence and lack of the necessary due diligence has managed to sabotage Mnangagwa’s economic plan. Mr. Nthuli NCUBE, be man enough to acknowledge a mistake and correct it toute suit. While you are at it, feel free to sit down for dinner/lunch with Mr. BITI to find common ground and move the country forward.. I will pay for the dinner in USA. Bring you immediate advisors and the Chairman of the Parliamentary Committee responsible. Ndivo vanhu vekupa basa ava. Redollarisation is not an option because of the mess our financial system is in. I say we have no choice but to continue using the Bond. In fact i argue that we should do away with the multicurrency system altogether. Print more Bond notes in larger denominations to make up for the phantom Rtgs balances. Devalue the Bond and allow the market to determine an appropriate exchange rate. I know the Bond will weaken and ultimately this will be inflationary but if Mr Ncube and his colleagues can run a clean government it will be temporary. The problem here is an absence of confidence in the powers that be. The more nonsense that is uttered by any state official the more worthless the local currency becomes. What about the those who lose money due to a devalued Bond, i say add the money to the foreign debt bill.Government should make a promise to gradually pay back the money they stole when they can. I mean, the same thing happened when RBZ was found to have “abused” private citizen’s forex accounts opened with the central bank. The state eventually took on the responsibility of replacing the money. Nothing new there. With no multicurrency system no one will be allowed to price anything in forex, that includes government itself, so no payment of duty in forex, this also has the benefit of lowering demand for forex. One last thing must happen, fire Mangudya and entire RBZ board. Whoever is appointed should not have any ties to Zanu. Very critical analysis. I hope Walker takes a leaf of which I guess he won’t. Too proud of themselves these people. He thinks he knows it all. Whatever they can say about you, Hon Biti, will not take away the fact that you know it that they don’t know what they are doing. If they lie to us and twist the figures and use those high economic vocabulary, we say they know but thank God for you Sir. Why do they go ahead before consulting better brains? Is it that they don’t know, or they deliberately mislead for reasons obscured to us all? Guys ,why we don’t have open discussions where we test the ideas before making people come up with such false representation that are misguided and misleading. Walker need to do an honorable thing and resign before he leaves in a bad state, all the credentials he has will be wiped. Let him know that no matter how technocratic one can be you can not turn ZANU into a sound government. Zim is better than this. Thanks Hon Biti.